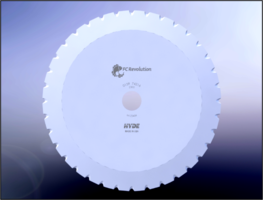 The Hyde FC Revolution Seafood Processing Blades are suitable for both fresh and salt water processing in land-based plants and ocean-bound factory ships. 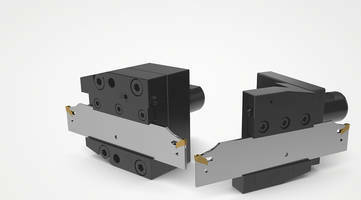 The units are constructed of high-grade stainless steel with Ra microfinish to reduce friction during cut. The blades are offered in sizes ranging from 90 mm to 350 mm in notched and non-notched types. MILLHOG® Cutter Blades come with radical chip breaker. 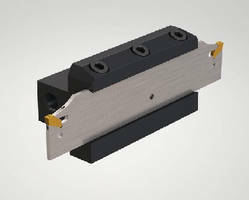 Esco MILLHOG® Cutter Blades are available in 37-1/2° and 30° standard O.D. 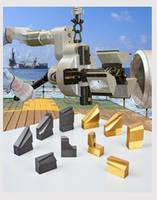 angles and are made from T-15 tool steel with TiN or hard lube coating. 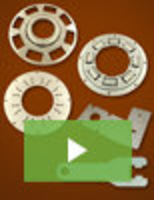 These blades are used for beveling pipe O.D., flat face, and bore the I.D. simultaneously. Units are suitable for heavy-wall pipes made of Super Duplex stainless steel or P-91 alloys and come with EscoLock™ wedge-style rigid blade lock system. Dehider Blades come in an outer diameter of 4.3 in./110 mm and are equipped with bushings for mounting. Made of high-quality steel, these units allow users to reduce waste and deliver the possible hide quality from beef, hogs or sheep carcasses. Products are suitable for food processing industry applications and are manufactured to the exact tolerances under ISO 9001:2015 factory conditions. Parting-Off Blades feature adjustable edge heights. Designed to fit VDI Turrets, 150.10 JETI Family Parting-Off Blades with VDI block design offer streamlined delivery of high-pressure coolant to cutting zones. Combination of blades and adapters is used for removing heat during parting-off operations, unit’s coolant holes allows the transfer of coolant to cutting zone via turret. 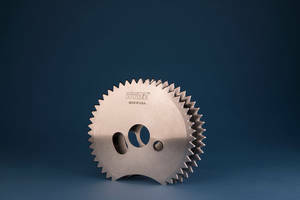 HSS parting off blades are available in 20 mm and 25 mm size. ƐPS™ Fan Blade Extensions are chemical resistance tested. Aerodynamic Blade Add-On reduces wind turbine noise. Parting-Off System optimizes coolant delivery. 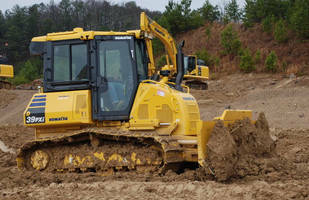 Crawler Dozer promotes productivity through automation.